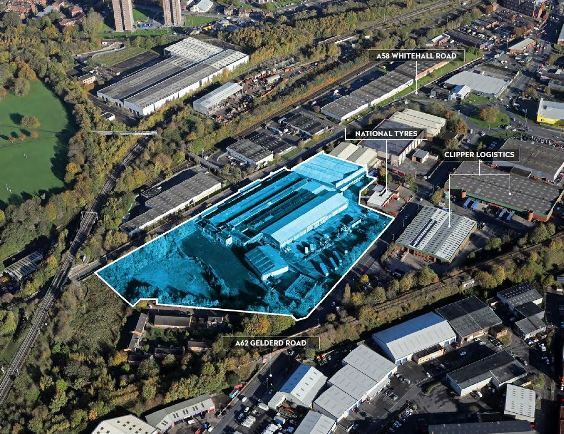 GVA has sold the eight-acre former Palmer and Harvey site on Gelderd Road, Leeds, to Halifax-based developer and investor, VCEP, on behalf of joint administrators for an undisclosed sum. The site occupies a prominent position fronting onto Gelderd Road, which is predominantly a mixed motor trade and trade counter location. Rob Oliver from GVA said: “This site represents a relatively large opportunity for redevelopment on the Gelderd Road corridor between Leeds city centre and the M62, which has always been a prime commercial location. With an extensive frontage and high visibility, together with three access points, there is plenty of flexibility about how it can be developed. GVA and Walker Singleton have been retained to market Gelderd Park on behalf of VCEP.